Straight from Eden to Your Door! 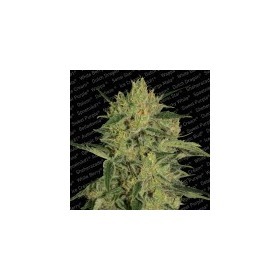 Amazingly Good Feminized & Autoflowering Cannabis Seeds! As the holder of more than 30 major awards, Paradise Seeds has created one of the most reliable lines of feminized seeds on the planet. To ensure you get authentic Cup-winning genetics, Paradise propogates their cannabis seeds under the most precise conditions using strict quality controls. Automaria II adds euphoric Sativa power to this super-fast mix. With Automaria II, you can experience penetrating stones as well as uplifting highs in just 60 days from seed. How awesome is that? Named after the heroine of the Arabian legend of A Thousand and One Nights, Paradise's Shererazade will take considerably less time, finishing in about 56 nights.